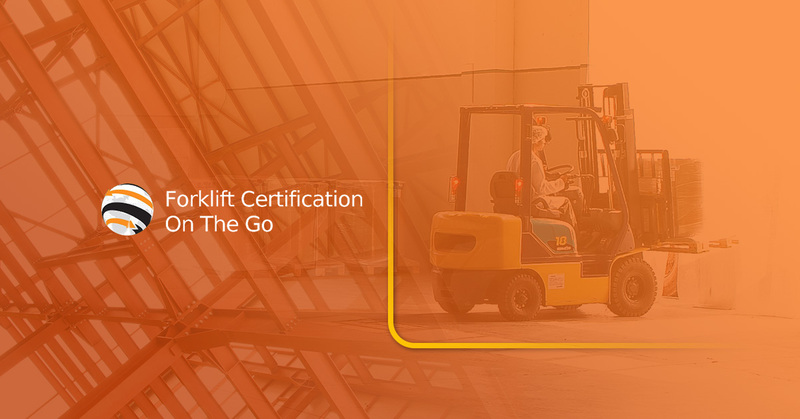 OSHA Forklift Training: How Did We Manage Without Forklifts? How Did We Manage Without Forklifts? Many of the historical monuments you can visit around the world were constructed without forklifts. People have been shipping heavy cargo for centuries without the help of forklifts. We bet the people who built the pyramids would have killed for a forklift (or fifty). In fact, thousands of ancient, medieval, colonial, and Victorian back injuries probably could have been prevented by forklifts. As we said in a previous blog, we are nerdy about forklifts. Basically, we love lifting heavy things off the ground but we aren’t weightlifters. We’re fascinated by humanity’s struggle against gravity, and today, we’re going to take a journey through just that. So strap in and come along for the ride! Forklifts haven’t been around forever. One of the earliest evidence of gravity-defying feats is Stonehenge, a 5,000-year-old circle of stones – some of which weigh 25 tons. Talk about a backache. Maybe the ancient constructors used greased timbers. Maybe they made ramps. We don’t know how the stones were transported over miles of land and set upright, but we do know it took a really, really long time and we don’t envy them the backbreaking work. We can build castles. Why not build a cathedral hundreds of feet tall? Through the Greek, Roman, and medieval times, people began to use animals and cranes to haul staggeringly heavy stones into beautiful temples, cathedrals, and castles. It’s safe to assume that several workers got squished. The process still took years. In fact, the York Minster Cathedral took 252 years to construct, and this was when people died at 30. Forklifts would have helped a lot! When the Industrial Revolution hit in the 1800s, manpower just wouldn’t cut it any more. There was huge demand for machines that could lift and move materials in warehouses and docks. The best they could do was complex systems of chains and winches. These block-and-tackle systems were either powered by men or steam. Eventually, they began to move the hoists around on wooden trucks and as technology progressed, electric motors joined the party. Awaken the machines of war! So many men died in World War I, the armed forces didn’t have enough manpower to raise platforms that helped in conflict. An electronic platform was developed and eventually lifted bombs. It is considered the first modern crane and it prompted the creation of our beloved forklifts. Introducing the forklift – at last! A company name Clark created the first counterbalanced forklift for their own warehouse, but the concept quickly caught on. Lansing Bagnall (a company now known as Linde) built the very first reach truck and suddenly, companies could fit a lot more in their warehouses because it wasn’t so awkward to move freight around. Since then, the forklift has been improved and will continue to get better! Forklifts revolutionized the world, and they can revolutionize your company. The key is to make sure your team knows how to operate them! Contact us today, and we’ll bring OSHA forklift training to you!